Varanasi, Feb 19: PM Modi is in his own constituency today. He invoked Sant Ravidas, a mystic poet of the Bhakti Movement, on his birth anniversary to urge people to end caste discrimination and identify those who promote it for “self-interest”. Modi said that caste discrimination is an impediment in achieving social harmony. 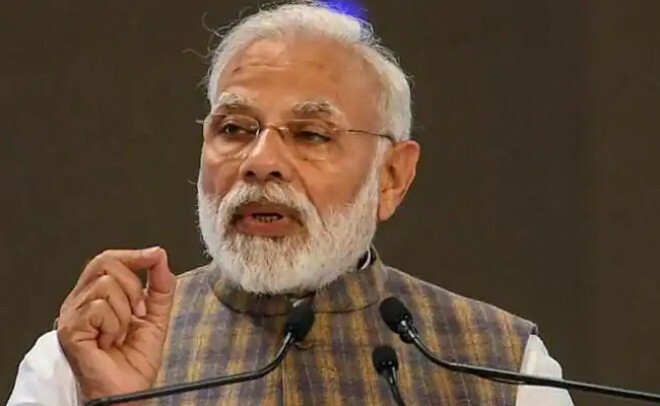 Earlier, PM Modi inaugurated Madan Mohan Malviya Cancer Centre of the Banaras Hindu University and flagged off the first electric locomotive converted from a diesel engine in the country at Diesel Locomotives Works (DLW). He also laid the foundation stone of Ravidas Janmastalhi (birthplace) area development project. The Prime Minister’s visit comes just a few weeks ahead of the Lok Sabha polls. The eastern Uttar Pradesh is a stronghold of the BJP. It covers 40 parliamentary constituencies. Prime Minister Narendra Modi said that his government has taken many steps have been to transform the railway in the last four years. "Semi-high speed train, Vande Bharat that was made in India is an example of it. It is sad how this train is being targeted and made fun of by some people"